Ready or not, the holiday season is upon us! If you’re getting ready to move – or simply preparing for the rush of activity (and gifts) this time of year brings – now is the perfect time to remove the extra clutter from your home. “Simplifying” has become a buzzword in the last few years, and many websites and books have been dedicated to the idea of getting rid of things that we no longer need or love. Besides being on-trend, tossing a few things out is the perfect way to prepare for a move. One benefit of decluttering your home before moving is that it can save money. Packing things you do not use only adds to the total weight of your move, so why not lighten your load? That ice cream maker you meant to use, the waffle iron that’s never been plugged in, or that toaster oven in the back of the cabinet are perfect candidates for decluttering; they are heavy and they take up space. Souvenirs, knick-knacks, books and novelties such as half-burned scented candles should also be on the list. If you foster a genuine sentimental attachment to an item, by all means, keep it. Otherwise, you’re just adding weight and bulk, and remember – you’ll have to find somewhere to put it in your new space. Clothes should also be aggressively targeted. Obvious tosses are things that don’t fit and items that trigger a “What was I thinking?” response. But don’t forget to spend some time on the less-obvious tosses, those items you’re just not sure about. Ask yourself (and answer honestly) how often you pass over the item and if you’d spend money to own it again if it came up missing. Try to develop an “If I don’t adore it, it can’t make the trip!” policy. Imagine the feeling of opening box after box to discover only your favorite things, then excitedly searching for just the perfect place in your new home for your most-loved treasures. That is by and large the result of decluttering before your move. As you’re unpacking, though, be sure to save a few boxes for even more tosses. There will almost certainly be items you’ll discover just don’t have a place in your new surroundings – or that you simply don’t love enough to bother with! Whether moving or not, getting rid of clutter in your home is one of the best preparations for the holiday season. Not only does it make room for the influx of gifts that are sure to come, but it makes cleaning and organizing your space so much easier, making holiday gatherings a breeze. Whatever your motivation, take a little time to free your home of its extra weight. Here are a few great links from realtor.com for more tips! If you’re like most people who move to a new city, finding the best places your new home has to offer was one of your first (and most fun) priorities. Maybe you’ve settled on the perfect place for pasta and are excited about the cozy coffee shop just down the street from work. You’re off to a great start, but like most things in life, everything is better when you have great friends to share it with! And while finding your new favorite hangouts was a fun adventure, finding the friends to share them with may seem more daunting. To make it a little easier, try this short list of prompts and get busy connecting! Whether you’re an avid fitness seeker or getting in shape has been on your perpetual to-do list, joining a gym is a proven way to connect with others. And while striking up conversation with the person at the weight bench or on the treadmill next to you is good, joining a weekly class (like yoga or spin) is even better because it puts you in the same room with the same people at the same time, week after week. Especially effective are bootcamp-style gyms or Crossfit boxes; these tend to be both incredibly tight-knit and welcoming to newcomers. One of the best ways to meet new people who you actually want to connect more deeply with is to do the things you love, with others. Are you spiritual? Churches offer spiritual nourishment and near-instant community. Do you have children? Enroll them in dance, soccer, gymnastics or scouts and watch as the whole family finds new friends. Do you love to read? Join a book club. Love to eat? Keep your eyes open for a supper club (or start your own if you’re especially out-going). Are tennis and golf your thing? Chances are there is a country club nearby. Even if you’ve never played, these clubs offer great instruction and are usually able to connect you with others who play at your level. Are you an endorphin junkie? Don’t run alone! Find the nearest running club and join up for a Saturday run. Whatever you enjoy doing, sharing common interests can be the beginning of life-long friendships for adults and kids alike. 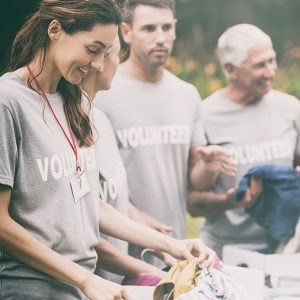 Another great way to meet others is to volunteer your time. Whether it’s at the local soup kitchen or your kids’ PTA, community involvement is a great way to make connections while helping others. 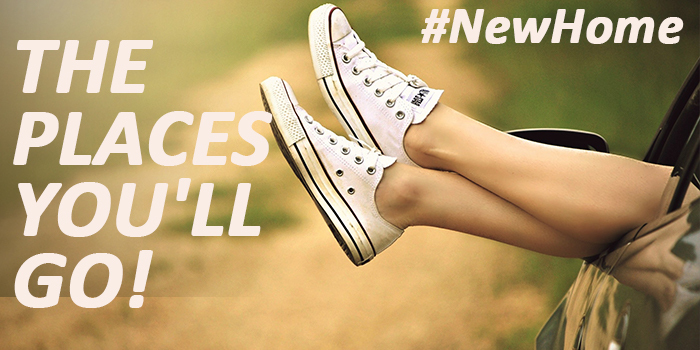 Most people who move to a new city do so for a new job. If this is you, then consider killing two birds with one stone by joining a networking group like Kiwanis, Rotary, or BNI. 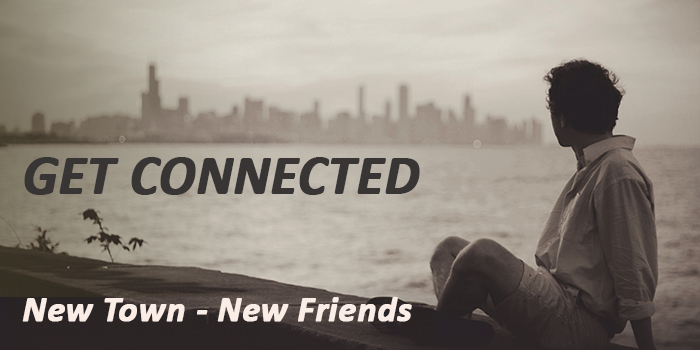 Not only will you be able to make valuable business connections, but these groups are a fantastic way to forge new relationships. As you may have already discovered, most people are more than willing to extend a warm welcome to newcomers, and that oftentimes includes an invitation. Determine to say “Yes!” as often as you can. As in all new ventures, the most important aspect of making and building new friendships is intentionality. It’s okay to start small, and it will likely take some time, but before you know it, your calendar – and with it, your life – will begin to fill up. Summer has come to a close, and with it, the moving industry’s busiest season. As the days become shorter and college football kicks off, families who have recently relocated adjust to a new normal: parents settle into new jobs, kids make friends at their new schools and life in a new town officially begins! If you’ve recently moved, chances are you have already located the grocery store, the nearest pizza delivery, and perhaps the closest Starbucks. But the real fun begins as you uncover the unique treasures of your new hometown. Let your phone be your guide to great restaurants, fun places to take the kids, and the best nightlife. Check out this short list of helpful tools and let the adventures begin! This is one simple, yet amazing, little tip. Just click on “Events”, then scroll down a bit to discover the section titled “Events Near (insert name of your city).” There you will find a “Today” button and one for “This Weekend.” How easy is that? Look for things like concerts or movies in the park. Not only will it give you or the family something to do and help you discover the lay of the land, but local events are a great way to meet new people! It’s been around for a while, but Foursquare continues to be a great app to help you find, in their own words, “Whatever you are in the mood for,” based on your location and preferences. Start by telling it what you like then just do a quick search. Pizza? BBQ Nachos? Outdoor seating? Foursquare will immediately generate a list complete with ratings and reviews. Don’t forget to save your favorites and even pay it forward by leaving your own rating and a review. Other Foursquare users will thank you. Think Eventbrite is just a place to buy tickets? Think again. The Eventbrite app is also a fantastic way to find out about all sorts of events taking place in nearby venues. Similar to Facebook Events, Eventbrite clues you in on everything from major concerts to the Work-Life Balance Seminar being held in the meeting room of a local restaurant. And yes, if the event requires tickets, you can buy them right there on the app. Bravo, Eventbrite! Groupon is great because it matches up places to go with coupons to use when you get there. Thanks to these great discounts, you can go more places for less money, making Groupon the perfect choice for those set on discovering all there is to do in a new place. Last, but certainly not least, is the Google Maps. A long-standing favorite for getting folks where they need to be, you may or may not know that Google Maps is also great for telling you where to go! Search for restaurants, gas stations, bakeries, grocery stores or just the most popular places nearby. Google Maps also provides Yelp reviews, which are always helpful for the new kids in town. However you go about it, just get out and explore. Make it a family effort, let the kids plan a weekend, or even make a game of it. Date night? Flip a coin to decide which way you will turn out of your driveway and again at every traffic light or stop sign. Once you’ve gone a few miles in a new direction, let one of the tools above guide you to what might be your new favorite restaurant, book shop or dessert cafe. With a little luck, a spirit of adventure can quickly turn an unfamiliar place into Home. And that’s what it’s all about. Tim Jones, warehouse manager at Williams Logistics, Tupelo, was recently awarded the 2015 Award for Excellence in Warehousing and Distribution on behalf of Steve Berkowitz, Executive VP/Director of Supply Chain and Isaac Ravitz, Assistant Supply Chain Manager, for All American Poly Corporation based in New Jersey. In 2015, All American Poly was working with 15 public warehouses around the country (today it is now 17). All American Poly established criteria (Key Performance Indicators) to help them identify facilities that were doing well and those that need improvement. Those Key Performance Indicators included, but not limited to: responsiveness to order acknowledgement, paperwork both inbound and outbound, order accuracy and inventory accuracy. Credit was also given for the amount of customers handled, amount of SKU’s handled, same day service and catching All American Poly mistakes. Out of the 15 warehouses, Tim’s warehouse was one of the Top 3 performers. 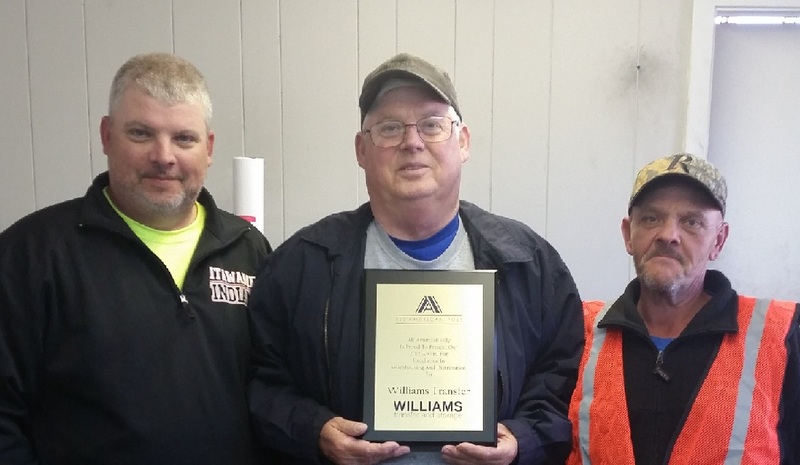 Williams Transfer and Storage was established in 1940 as a moving and storage company and over the years has branched into logistics, commercial warehousing, supply chain management, order fulfillment, distribution services, and freight transportation.